1st Class Kids was established in 1991 by the current owners. We are the major supplier of school uniforms, p.e.kits and swimming costumes in Blackpool and Lytham St.Annes and have seen different generations of the same family pass through our doors. In store there is a great selection of scouts,guides,brownies,rainbows,beavers and cubs uniform. The children will certainly earn their best dressed badge with us. 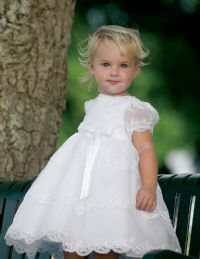 You will also find a great choice of christening, communion and confirmation dresses and gowns in store.